It's Monday and you know what that means... time to meet another maker! 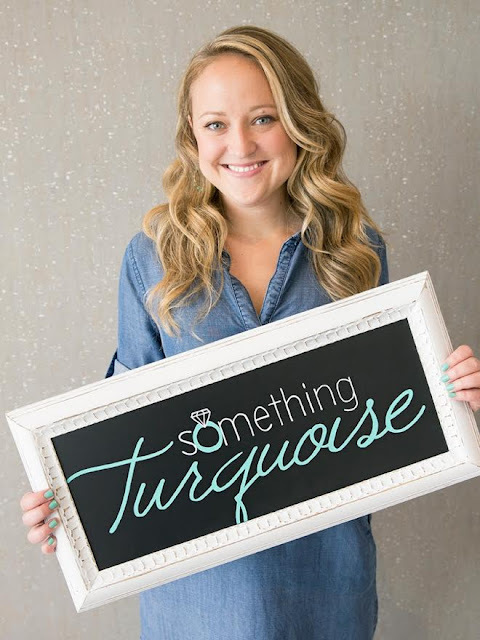 Today I am featuring Jen of Something Turquoise. I first found Jen when planning my wedding. 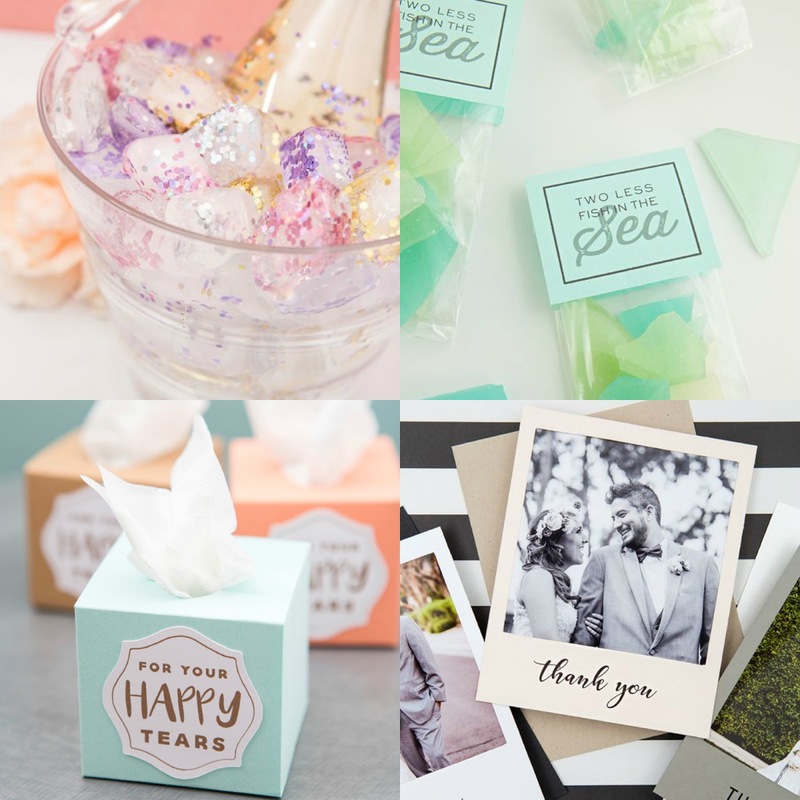 She has a DIY bridal blog so if you are planning or have planned a wedding, you have definitely seen her work all over Pinterest! I used her Instagram save the date idea for my own save the dates and starting following her blog from there. I eventually learned she's from the same city as me and one day, I went out on a limb and I sent her an e-mail asking if she was looking for an assistant and what do you know, she was! I currently run the Something Turquoise Pinterest account and help Jen whenever she needs a second set of hands. It has been such a fun opportunity to be around another creative (and one who makes a living at it, how cool is that?). I’m the founder and maker behind the creative wedding blog Something Turquoise. I started it 6 years ago and 2.5 years ago I was able to make it my full time job. I’ve been crafting ever since I can remember, my parents always encouraged me to make things and I was always labeled as “crafty” growing up. I desperately wanted to “make crafts” for a living but I didn’t know how I was going to make that happen, especially pre-internet. So I became a wedding hair dresser and kept crafting. While looking for wedding hair inspiration and helping my friends plan their weddings, I found wedding blogs and I pretty much never stopped looking at them. Through lots of trial and error in other crafting businesses and a 13 year career as a wedding hair dresser, I decided to start my own wedding blog and it's truly the best thing I have ever created! Crafting, Sharks, Red Wine, Black Coffee, My Cat Bunny, Mermaids, Anything Turquoise, Long Beach, Cauliflower Covered In Buffalo Wing Sauce, Massages, Vintage Beach Paintings, Jeeps. Salmon, Running, Copycats, The Desert, Cheaters, The Color Brown, Dairy, Pollution, Doing Dishes, Chipped Nail Polish. The TV show Finding Bigfoot. Getting lost on the Instagram Explore page. Reading way too much BuzzFeed… and Legos. Red Wine or Champagne is my typical drink of choice but if you’re asking about what hard alcohol I like it’s tequila all the way. Shots, in margaritas, or in Bloody Maria’s. Always follow your heart. If you don’t want to make that thing anymore, don’t make it. If you want to try something new, try it. When you turn a passion or hobby into your full time job, it’s easy to get stale because that “thing” is no longer your hobby. Mix it up. Take a class. Try something new…. but always let your heart lead the way. When art originates from your heart, it’s always perfect. Thank you Jen for being a part of this Meet the Maker series! She is the absolutely epitome of a "Girl Boss" and such an incredible inspiration and mentor. I've learned so much from her and am so thankful for the opportunity she's given me to work alongside her. Be sure to check her out on her Blog // Instagram // Facebook // Pinterest.